Jesus said to the father, "You said, 'Help him if you can.' All things are possible for the person that believes." 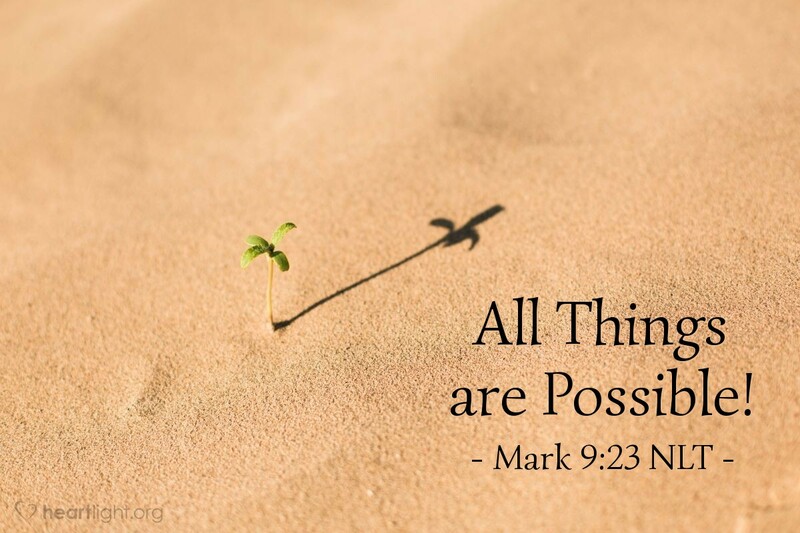 "All things are possible ...!" 'Nuff said. Forgive me, forgive us, O God for doubting your power and might. In Jesus' name. Amen.